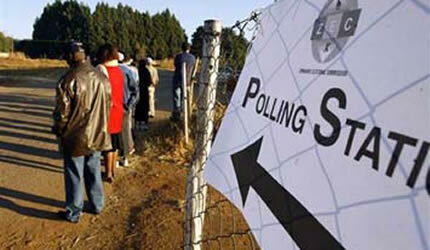 ONE-hundred-and-two candidates yesterday successfully filed their nomination papers in different parts of the country to contest in 14 by-elections set for June 10 which fell vacant following the recall of 21 legislators by MDC-T. One of the candidates, Albert Mhlanga, who successfully filed his papers for Pumula constituency in Bulawayo, was among 21 legislators who were booted out recently and wants to retain the seat. No candidates filed nomination papers on the ticket of any of the MDC formations after they boycotted the by-elections in the wake of successive defeats at the hands of Zanu-PF in parliamentary and local authority by-elections held since the 2013 harmonised elections. Analysts say MDC-T’s fear of electoral contestation is manifest in the party’s decision to fill seven seats from the 21 which it won through proportional representation in the harmonised elections. The party has been widely criticised for being hypocritical by accepting to fill the proportional representation seats while boycotting constituency-based by-elections. In Glen View South, Harare, the candidates will be Reginald Musika (Dare), Steven Sibanda (Mavambo/Kusile/Dawn), Judith Mpambgwa (Freedom Front Party), Edwin Sithole (NCA), Moses Nkomo (Transform Zimbabwe), Pius Madzinga (Zanu-PF), Tafirenyika Chipato (Independent), Michael Chivandire (Independent), Mavis Musunami (Independent), Donald Chimhatira (Independent) and Donald Chirunga (Independent). Dore Dale (Transform Zimbabwe), Mavis Gumbo (Zanu-PF). For Highfield the candidates are Brian Shamhu (Dare), Shadreck Nyanganya (Freedom Front Party), Weston Saruwaka (Mavambo/Kusile/Dawn), Godfrey Jena (Progressive Democrats of Zimbabwe), Onita Jena (Progressive and Innovative Movement of Zimbabwe), Kudakwashe Makuwe (Transform Zimbabwe), Psycology Maziwisa (Zanu-PF), Emmanuel Tafadzwa Dzumbunu (independent), Pswasirayi Tashinga Tungamirai Chadamoyo (independent). In Dzivarasekwa, Happison Chikova (African Democratic Party), Washington Madure Madure (Dare), Enock Mafigu (Mavambo/Kusile/Dawn), Peter Mukuchamano (National Constitutional Assembly), Cosmas Benjamin (Progressive Democrats of Zimbabwe), Ngonidzashe Chandiwana Shiri (Transform Zimbabwe), Omega Hungwe (Zanu-PF), Tonderai Hemani Karimakwenda (independent), Saul Tore (independent) will contest. Five candidates were disqualified for various reasons in Harare. Cde Terence Mukupe who had won the Zanu-PF primary elections for Harare East and succesfully filed his papers was disqualified after Zanu-PF secretary for Administration wrote to the nomination court to withrdaw his name. He was eventually replaced by Cde Gumbo. Zanu-PF Harare provincial secretary for legal affairs Cde Dan Musukuma said Cde Mukupe failed to meet the party’s nomination criteria. He said although his candidature sailed through after a waiver by the national election directorate it later emerged that he was not a registered voter in Harare East as of July 2013. “It occurred during the province’s verification process of its candidates that he was not on the Voters Roll which implied that he did not vote in 2013,” said Cde Musukuma. In Tsholotsho, Information, Media and Broadcasting Services Minister Professor Moyo will represent Zanu-PF against independent candidates Getrude Sibanda and Busani Ncube. In Bulawayo, the battle for Makokoba will be among Retired Colonel Tshinga Dube (Zanu-PF), Jonathan Ndlovu (Zapu), Wilson Harry Peter (Mavambo Kusile Dawn) and three independents Joan Dhlodhlo, Sibangilizwe Msipa and Sehlelo Nkomo. Cde Ntandoyenkosi Mlilo (Zanu-PF) will contest in Luveve against Fanuel Tshuma (Transform Zimbabwe), Morgan Ntuli (National Constitutional Assembly) and three independents Thembelihle Sibanda, Mkululi Nyathi and Willias Dube. In Lobengula the candidates will be Cde Maideyi Mpala (Zanu-PF), Leonard Mhike (Transform Zimbabwe), Casper Sibanda (Zapu), Jane Mbewe (Freedom Front Party) and Njabuliso Mguni (independent). In Mpopoma-Pelandaba, Cde Joseph Tshuma will respresent Zanu-PF, Strike Mkandla (Zapu), Andrea Banda (Transform Zimbabwe), Sokhaya Mabena (National Constitutional Assembly (NCA), Joshua Mlambo (independent), Tsibo Mkwena (independent) and Vusumusi Mabhikwa (independent). Pumula will be constested by Cde Godfrey Malaba (Zanu-PF), Jackson Lunga (National Constitutional Assembly), Ntandoyenkosi Ndlovu (Transform Zimbabwe), and four independent candidates Zakhele Mpofu, Misheck Ncube, Albert Mhlanga and Morrison Maluso. For Mbizo constituency three candidates – Cde Vongai Mpereri of Zanu-PF, Mr Innocent Madziva of Transform Zimbabwe and an independent Mr Onismo Tafirei Zhavairo sucessfully filed their nomination papers. In Dangamvura-Chikanga, Cde Esau Mupfumi will represent Zanu-PF, Mr Fugamai Mawire (Mavambo/Kusile Dawn), Mr Ruramai Musiiwa (National Constitutional Assembly) Mr Maxwell Teedza (Transform Zimbabwe) and Mr Gashirai Puwayi (Freedom Front). Three other candidates – Mr James Mundenda, Mr Richard Chengetai Kadzere and Mr Kuziva Maundike – will contest as independents.